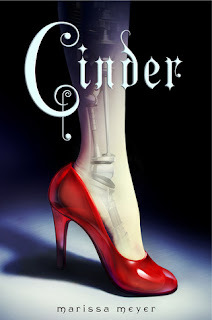 The Hopeless Bibliophile: Read "Glitch" - the prequel to CINDER by Marissa Meyer! Read "Glitch" - the prequel to CINDER by Marissa Meyer! I've written about it before, but it's still true: Cinder is one of my most anticipated reads of 2012! I am so excited for this book, and every little tidbit (that isn't spoilery) has totally made my day! That's why I was beyond excited to find an email from Macmillan in my mailbox announcing "Glitch," a new short story by Marissa Meyer. It's a prequel to Cinder, and it's really good!